The idea of turning treated sewage into drinking water has not been a popular idea, but many Texas cities, Wichita Falls most recently, are turning in that direction. Lake levels in the Wichita Falls area are at only 40% of capacity and people are beginning to feel that recycling waste water is an idea whose time has arrived. Wichita Falls hopes to produce 5,000,000 gallons of drinking water per day from recycled wastewater. Wichita Falls is one of several cities in Texas pursuing reuse projects. 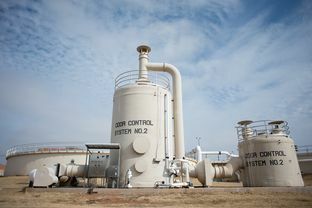 This spring, a $14 million plant in the West Texas town of Big Spring will begin turning treated wastewater into drinking water and distribute about 2 million gallons of it daily to the Midland-Odessa area. Brownwood recently received approval from the Texas Commission on Environmental Quality to build a reuse plant. Abilene and Lubbock are in the early stages of examining the technology. The Big Spring plant will be the first of its kind in the nation. El Paso, TX and Orange County, Calif., also have reuse projects, but their treated wastewater gets sent through an aquifer before being pumped up for further cleaning. At Big Spring, there is no aquifer step. The wastewater will be used directly. In the direct potable reuse process used in Big Spring, regularly treated wastewater goes through additional chemical and biological treatment processes plus extensive filtration. Then it is mixed into the regular drinking water stream and goes through normal drinking water treatment. Wichita Falls is already processing brackish water from a nearby lake to supplement its drinking water supply. More information from the Texas Tribune.